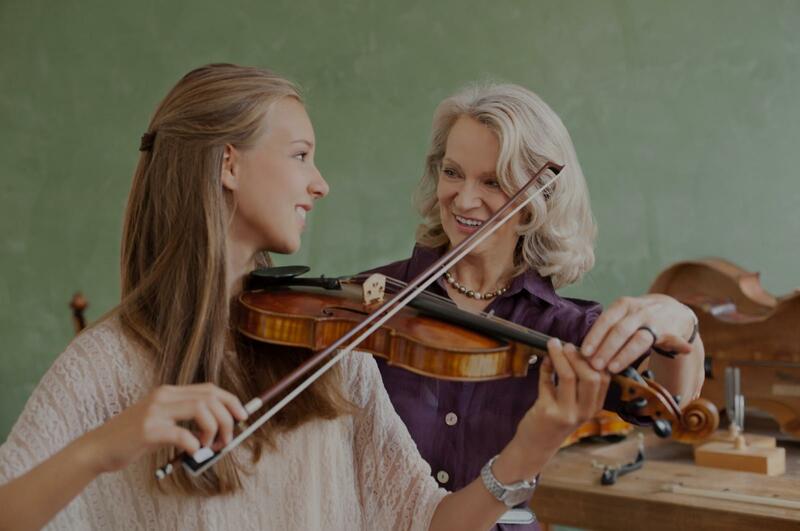 Vista, CA Violin Lessons Near Me | Fun Classes. Top Tutors. In my one hour of comprehensive teaching, students learn extensively the techniques of the violin, including tone production, vibrato, musicality and pieces of music which are chosen from standard violin literature or Suzuki books. The whole idea is to get students to look at the whole learning process as a fun activity, and very soon they acquire the ability to produce beautiful sounds, correct intonation and strong vibrato. In addition to the above, I conduct some some ear-training exercises to improve intonation as well. nicating with our daughter so that she grasps and understands the music and notes. Most importantly, our daughter looks forward to her lessons and voluntarily practices almost every day." without us even asking,. He will start orchestra in middle school this year and I know he will be ready!" "Regina is AMAZING!!! My daughter is 15 and just loves her, and her teaching style! Can't wait for more lessons!! :)"
"she's amazing, she works with you and makes sure you are getting the best lesson you can. appreciate her." zuki book 5 and joining in Great Miami Youth Symphony. Adrian helps him for preparing an audition or concert music as well as correcting skills. I am very satisfied with his teaching style and would like him to teach my son as long as he can." "Both my kids loved classes with Carrie. Would highly recommend her. I would take lessons but I am all thumbs. 🤓"
San Diego, CA teacher: Carrie N.
's instructor, and I highly recommend him."